Every new year brings the hope of change. Whether it’s changing our diet, style, or work ethic, we all probably have some goals towards bettering ourselves. The fact is a new year often means a chance of rebirth or renewal. Many of us might make great resolutions to become nicer people, save money, get in shape, or do well in school. But the truth is most of us will probably find ourselves just as lazy, pudgy, and stressed out in 2017. Let’s put away those unrealistic goals and focus on ones we actually can attain. So grab a glass of champagne and raise a toast to becoming slightly better versions of the degenerates we were in 2015. We all have a weak spot for brunch, but let’s admit that it’s kind of a waste of time. Rolling out of bed at noon and dragging yourself to the closest dining hall for brunch with the girls sounded like a great idea in 2015, but if we’re trying to be efficient this year, we might have to do better. Waking up for breakfast on the weekend (yes, dining halls are open for breakfast specifically for people who are killing the game) might prove to be a great way to jumpstart your day and get some extra work done in the morning. 2. Follow DJ Khaled on Snapchat. DJ Khaled is the life coach we never knew we needed. Last year, the famous hip-hop producer blessed the world when he started using his Snapchat account to drop some truly profound words of wisdom on us, all the while going about his everyday life. DJ Khaled preaches about the importance of strength and resilience, constantly reminding us that “they don’t want you to win”, whoever “they” may be in your life. 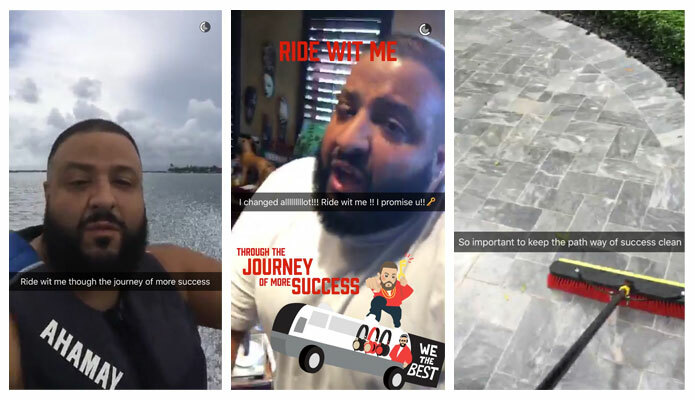 Whether you’re really looking for some inspiration or just a good laugh, DJ Khaled finds the beauty and worth in every thing that he does, from eating breakfast and watering his garden to producing platinum-selling records. Follow him “through the journey of success” in 2016 and ignore the haters who try to bring you down along the way. 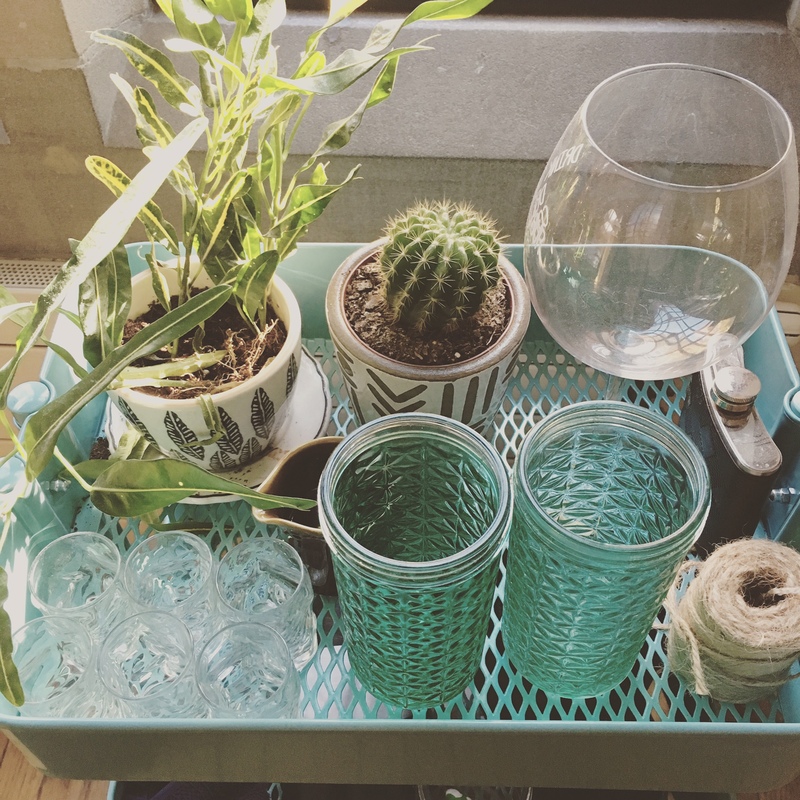 OK, so they’re not a comforting cat or therapy dog, but plants are a nice way to spruce up your room or suite and also give you a sense of inner peace and tranquility. Plus, seeing life grow is pretty freaking beautiful when you think about it and as DJ Khaled once said, “Look at what life can do!” Honestly, name your plants, water them, give them care and love, and appreciate the beauty of life growing at your fingertips. And when they die, don’t feel bad just because everything you touch dies. If you’re looking to lose a few inches off your waist this year, going to the gym might seem like a good option. But let’s be practical, going to the gym requires effort and energy that I’m not willing to expend, because honestly I don’t where it is and I don’t have enough cute gym clothes anyway. Add some exercise to your day by ditching the shuttle ride and taking the hike up science hill or anywhere you’re trying to get to. 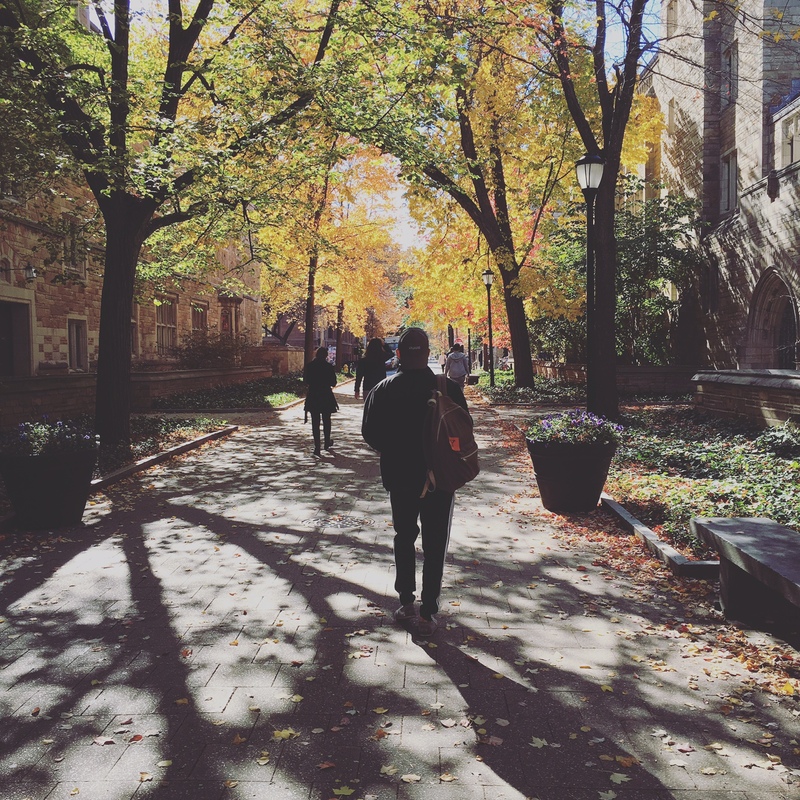 Plus while you’re walking you can enjoy the beauty of campus, especially during the spring. We’ve all been there before– you get to a library and can’t focus because you’re “just not feelin it” so you ditch it and head to Blue State only to find that it’s packed. Finally you resort to your common room and an hour later you have four tabs of Buzzfeed listicles open and have accomplished nothing. It seems the first battle in being a productive human being and contributing member of society is simply finding a good place to clear your head and focus. Try to pick a quiet, calm environment that is conducive to studying so that you’re consumed with shame when wandering eyes spy your “Which Kardashian Are You?” quiz results. Check out this list of some great places to buckle down and get work done. 6. Stop leaving unread emails in your inbox. If your inbox is over-flooded with unopened messages from Peter Salovey, library due date reminders, notifications about a new fall term grade, and Toad’s promotions, it’s time for a new beginning. Here’s how you do it. From your drop-down menu, click “unread”, which will select the 5,283 unread emails you’ve been too lazy to simply open all year, and press DELETE. DELETE. DELETE. Because it’s 2016 and they’re all in the past. They don’t matter. Not even that e-bill payment reminder. Delete it. And when you start getting new emails in 2016, delete them too. Delete anything from anyone who doesn’t want you to win. Delete the people who are draining your energy from your life. Unfollow. Erase. Whatever. 7. Never utter “on fleek” again. It always start out innocently enough. You hear a new ridiculous, but somewhat catchy slang term the youths are saying these days and you start using it ironically, as if to say, “I’m hip enough to know about the hot, new trends, but I’m not using them seriously, because of course I’m better than everyone else.” But then you can’t stop saying it. Before you know it, you find yourself using “on fleek” to describe your new balance sneakers and can’t stop referring to your gynecologist as “bae.” Although we can’t promise not to fall prey to the inevitable new buzz words to come in 2016, we can put the lid on some of the most overused ones of 2015. Habitually complaining is often like binge eating. You can’t tell if you’re complaining because you “literally cannot” physically complete whatever excruciating task you’ve been burdened with or if you’re just kind of bored and don’t know what else to do. Oftentimes lamenting about your stressful week can just be a simple conversation-filler, an easy go-to for smalltalk or a way to try to relate to lesser beings. In either case, shut up. Complaining about something isn’t going to make it any better and sometimes we just amplify hardship more. Worse, complaining can be just an excruciatingly annoying means of humble bragging. Stahp. 9. Call your grandparents more, jerk. When was the last time you called your grandparents on your own? Quite frankly, they’re not going to be around forever and they’re our day ones who have always wanted us to succeed. There are a limited number of people who are going to love you no matter how much weight you gain or how terrible your grades are or how often you “forget” to text back. Cherish them. They relentlessly nagged your parents to “give us some grandbabies” during holiday dinners and family reunions. Thank them for basically giving you life by hitting them up every once in a while. They’ll really appreciate it and honestly there’s no better confidence booster like your grandma reminding you how fricking awesome you are. 10. Learn how to take a compliment. For some reason, a lot of us have a terrible habit of denying compliments. Maybe it’s a shallow attempt to appear modest or just another covert form of humble bragging, but it’s got to stop. Make 2016 a year of self-actualization and stop downplaying your achievements and skills. Live life like your resume and celebrate all that you are amazing at and leave your weak computer skills in 9pt font size. When we’re stressed out, it’s hard for our minds to focus and stay on task. That’s probably what makes procrastination so sneaky. We usually find ourselves checking Facebook or looking at videos of baby sloths eating carrot sticks while we’re trying to get legitimate work done. If you find that your mind can’t resist the urge to stray, then it’s a sign that you probably shouldn’t even bother. Instead of wasting time, pat yourself on the back for trying and take a congratulatory nap. Or grab a glass of wine and read for fun. Never mind that it’s a Tuesday afternoon. It’s time to start putting yourself first. Happy New Year from the Boola! Before you know it’ll be 2017 and we’ll looking back at how we didn’t become better people. Life is too short to be consumed by your inadequacies, so just focus on the positive and everything else should fall in place.This year, set yourself on the path to success and set small, feasible resolutions. You just might become the person you’d like to be next decade.